Textured poly with heat transfer print featuring shells, coral, vintage script and scrolls. Machine wash. 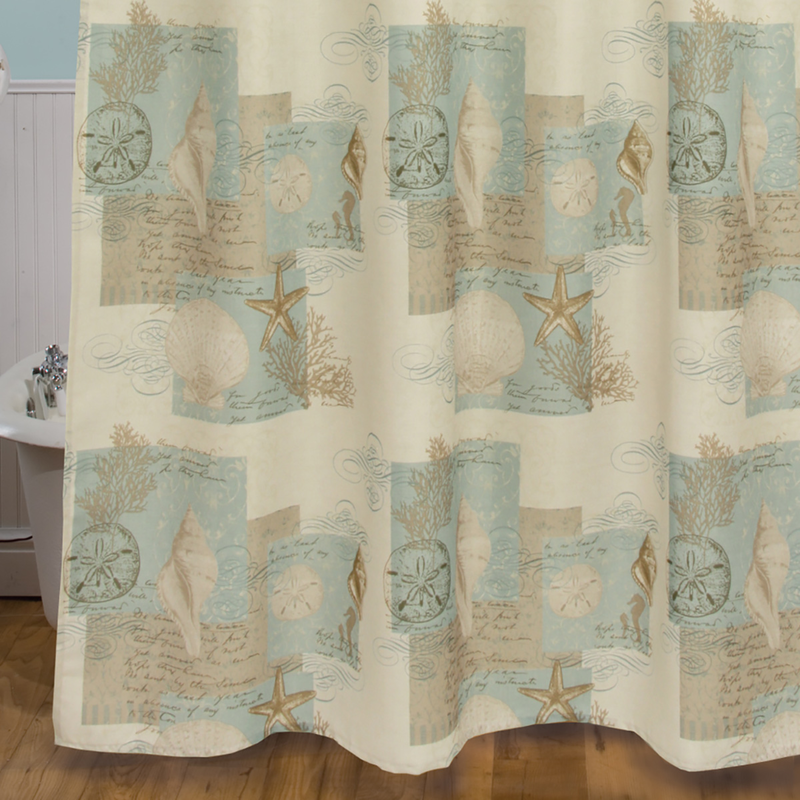 This beach shower curtain measures 72"W x 70"L. Ships from the manufacturer. Allow 1 week. Cannot express ship. For even more offerings, we encourage you to make time to shop our extensive array of beach shower curtains at Bella Coastal Decor today.